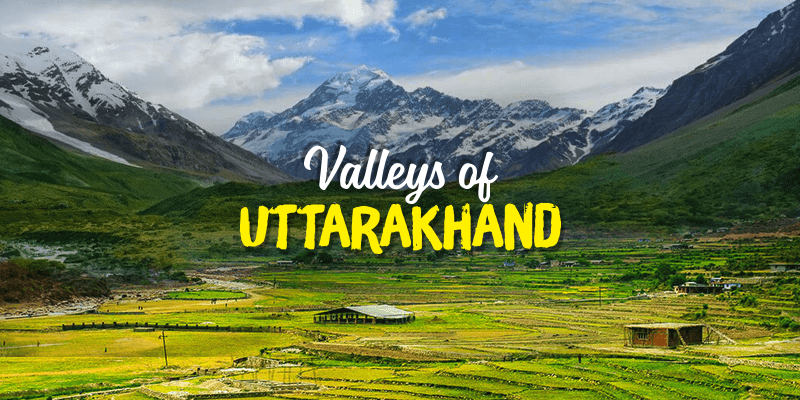 Home Travel 5 Unexplored valleys of Uttarakhand you have got to visit! 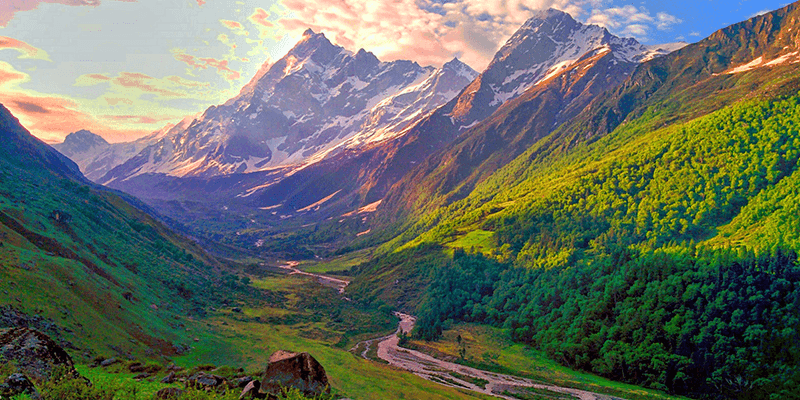 5 Unexplored valleys of Uttarakhand you have got to visit! Sublime beauty, untouched landscapes, crisp greens, fresh air is what mountains tell a tale about and an Uttarakhand trip allows the tourists to experience mountains at their sheer best! Beautiful places to visit in Uttarakhand would capture your imagination with enchanting views of the Himalayas and the simplistic people dwelling in this state. 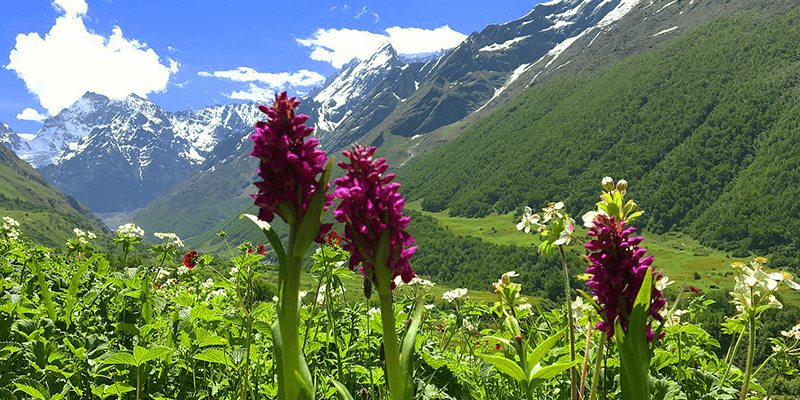 But tourist places in Uttarakhand does not only cater to the interests of the nature lovers, for there are plenty of activities you can enjoy in the green valleys of Uttarakhand. From trekking, to rafting, butterfly spotting to ashrams; Uttarakhand (or Uttaranchal) tourism would cater to your distinctive travel wishes. The valleys of Uttarakhand are brimming with beauty, while Dehradun and Nainital tourism has really taken off, there are new sights coming up every day. These newer tourist havens help you experience the true beauty of nature, far from the madding tourist crowds. So, if you are bored with those crowded Uttarakhand places to visit, then here is a handpicked list of new mountain beauties. Auli lies adjacent to the sacred religious shrine of Badrinath. Situated at a height of 2800m above the sea level, Auli is all about snow-capped peaks, clear blue skies, fresh breeze and plenty of sunshine. During winters Auli tourism flourishes, when the valley is visited for skiing by snow junkies. The snow covered terrains of Auli (between November to February), allows the tourists to get an adrenaline rushing experience with various mountain sports activities (such as skiing, snowboarding and mountaineering). While the summers (between April to June) have a different charm. With the snow melting down, the valley is filled with greenery and flowers. When speaking of summer it should be stated that the average summer temperature here is around 150C! Set amidst lush greenery, Chakrata is a small town which would cater an utterly peaceful and quiet time to the travelers. 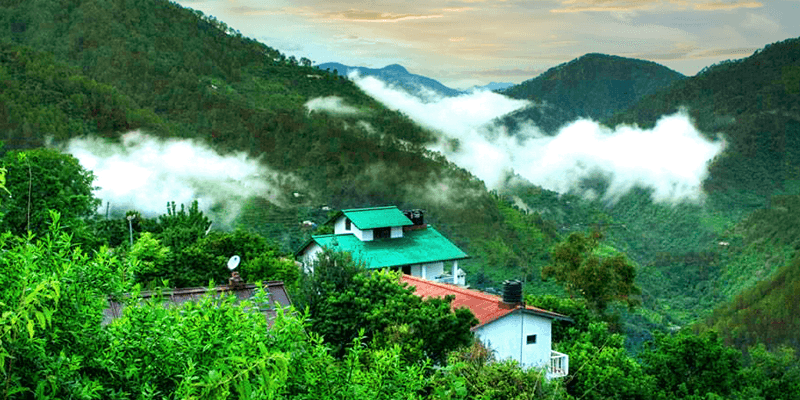 The landscape of Chakrata is filled with snow clad mountain views, pretty (colorful) houses, green pastures and blue skies. This small town looks a perfect setting for the romantic songs of yester years! Chakrata offers a drastic shift from the busy life tourists are habituated with (and even bored of), here time moves on at a meandering pace. Well, Chakrata tourism is not all about spending leisurely days, there are many scenic tourist attractions here. As a first you can visit Tiger waterfall and the Buddhist monasteries nearby. If you like bird watching then there is Deoban, which is known as a haven for exotic bird species. Well, if you are in search for some adventure then a trek to the Budher Caves would be an apt choice. Camping is also a popular activity in Chakrata, it allows you to set base at an idyllic location and if you are really lucky you could be visited by some wild guests from the nearby jungles! Must do: Trek to Budher Caves & Tiger waterfall, bird watching at Deoban, seek blessings at Buddhist monasteries, camping and backpacking in the valleys of Chakrata. Sattal (or the land of seven lakes) is meant for people who are really serious about great mountain views. Unlike its neighbor, Bhimtal, not many tourists visit Sattal and that is exactly the reason why this place has such a captivating ambiance. The small town is tucked between pine forests, and decorated with its lakes. There are many vantage points for some great mountain views. 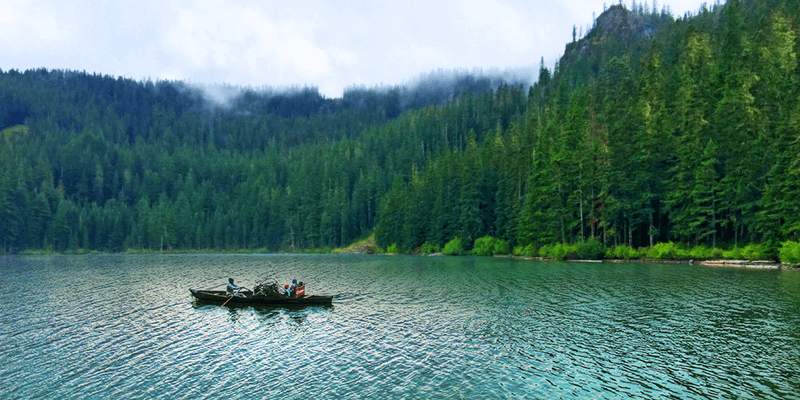 Sattal tourist places include a rare butterfly museum, trip to the seven beautiful lakes, spending some time fishing on the lake shores and of course staying enchanted at the magnificence of the Himalayas. Of course you can also trek to upper altitudes and there are plenty of short trekking routes available from here. Jeolikot is a beautiful countryside nestled in the hills! This small town would welcome you with the cool and fresh mountain breeze and crisp views all over. Over the years, Jeolikot has been visited by many saints and spiritual gurus seeking peace and tranquility. If you are a Yoga or Meditation fan, then a trip to this mountain side marvel would help you hone such skills. Your Jeolikot stay would be blessed further with a stay at one of the beautiful English styled cottages overlooking the mountains. 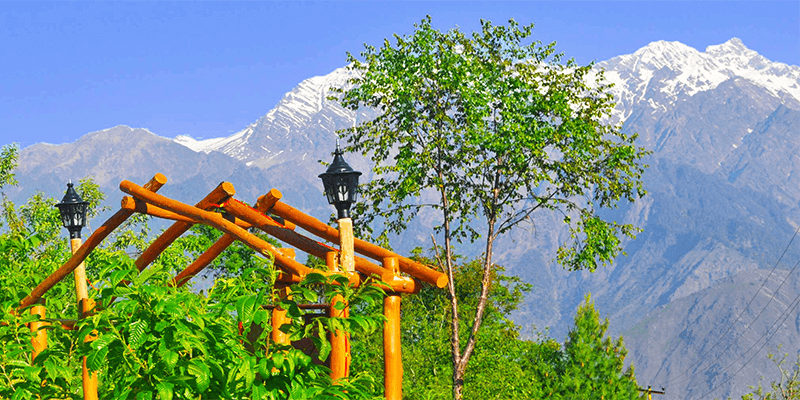 While the town is great to visit during the summers, you can also visit here to feel the chill in winters. Must taste: Should try some of the delicacies from Garhwali and Kumauni cuisines (such as Aloo ke Gutke, Gahat, Chainsoo and Kaapa) during your stay in Jeolikot. Located on the banks of Tons river, Mori is a scenic hamlet decorated with lush green paddy fields. Now, the descendants of this small village have a rich lineage. It is believed that they belong to the family tree of Pandavas and Kauravas (of Mahabharata fame). Another interesting fact about Mori is that the villagers worship Duryodhana as their primary deity! And the anti-hero of Mahabharata has a lavish temple in the middle of Mori. Mori is an ideal summer vacation destination, for the temperatures here during the winter months can dip to 2°C and below. The Tons River, flowing silently past this village, offers some adventure sports scopes to the tourists in the form of river rafting and river crossing. Filled with many fruit orchards, fruit picking is also an important attraction here. Must visit: Netwar, Lunagad Creek, Jakhol and Icchhari Dam. So, if you want a peaceful, scenic and relaxing time in the hills of Uttarakhand then you could choose one of multiple of the above mentioned unexplored tourist places. Previous articleHow to spend 48 Hours in Amritsar? Next article10 Best Kept Secrets of North Kerala!